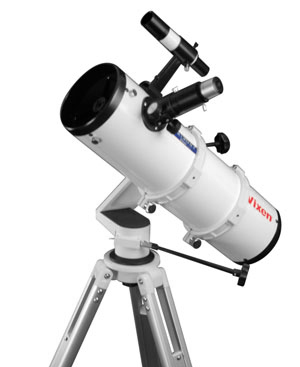 The R130Sf 5” Newtonian telescope comes standard with the 6 x30 finder and dovetail tube plate that attaches quickly to the Porta II Mount. It’s the perfect medium aperture, pick up and go package. 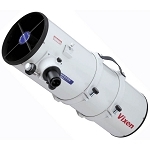 The PORTA II gives great performance when viewing objects at high magnification, the damping and vibration being significantly reduced as compared to other lesser quality telescope mounts. 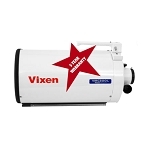 Universe Today says "The Vixen R130Sf is absolutely the perfect size for someone who needs enough aperture to light up popular deep sky objects, but doesn't need to lug around a 12" telescope .......The PortaMount II is quality through and through, it's not going to just fall apart on you and it would be oh-so-easy to adapt any number of other telescopes right to it just as easily as the R130Sf went into place with that blessed universal dovetail. "Read the full Review. Porta Mount with locking extension legs, accessory tray, slow-motion controls, adjustment tool set and removable mount head.